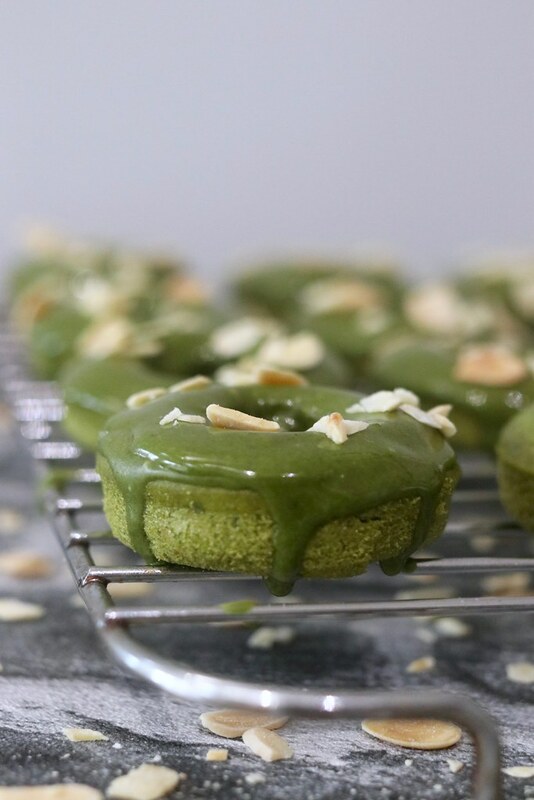 Matcha has been floating around the food scene for quite a while now and me being me shrugged it off and wasn’t overly bothered if I tried it or not, especially when it came to teas and coffees, I like my cup of tea to be strong, sugary and English with zero health benefits! 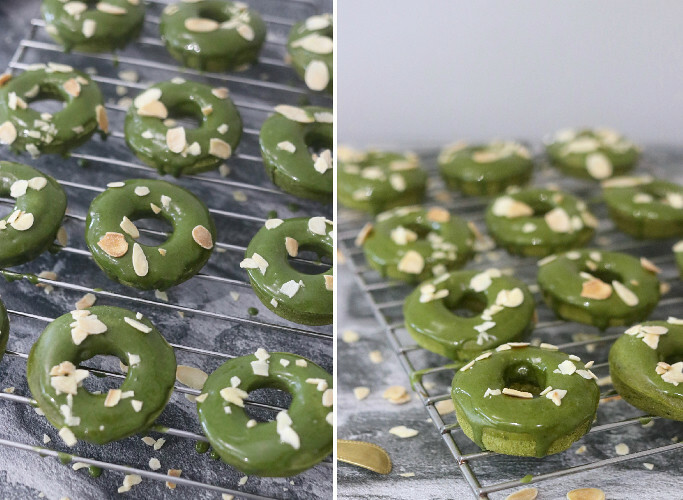 However when I found out you could put Matcha in pretty much any dessert my ignorance shifted and I instantly wanted to bake a batch of green doughnuts…who wouldn’t? 1. Preheat oven to 160 (Fan Oven) Add all dry ingredients into a large mixing bowl and combine. 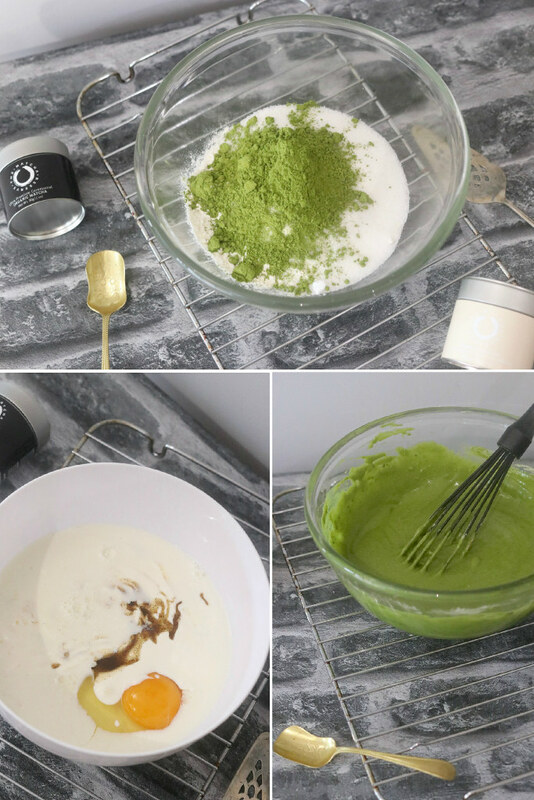 In a separate bowl whisk your wet ingredients together and then add your wet mixture into the dry mixture. 2. 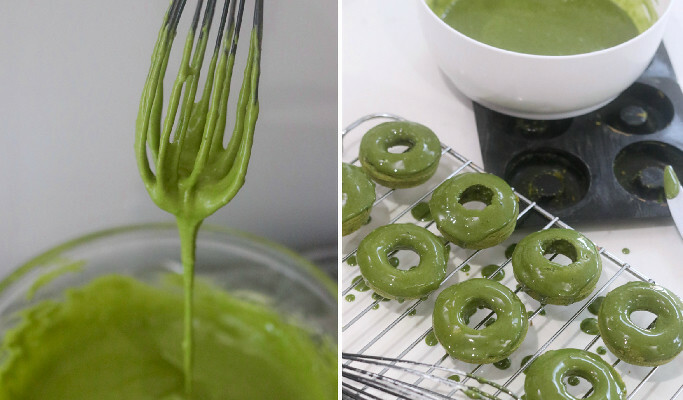 Pop your batter mix into a piping bag and fill your doughnut ring tray 1/2 way up in each little section, don’t overfill otherwise your ring doughnuts won’t have holes in!!! 3. Pop into oven on the middle tray for 10-12 minutes. Once cooked remove from oven and leave to completely cool, then it’s time for the fun bit, time to get dipping. 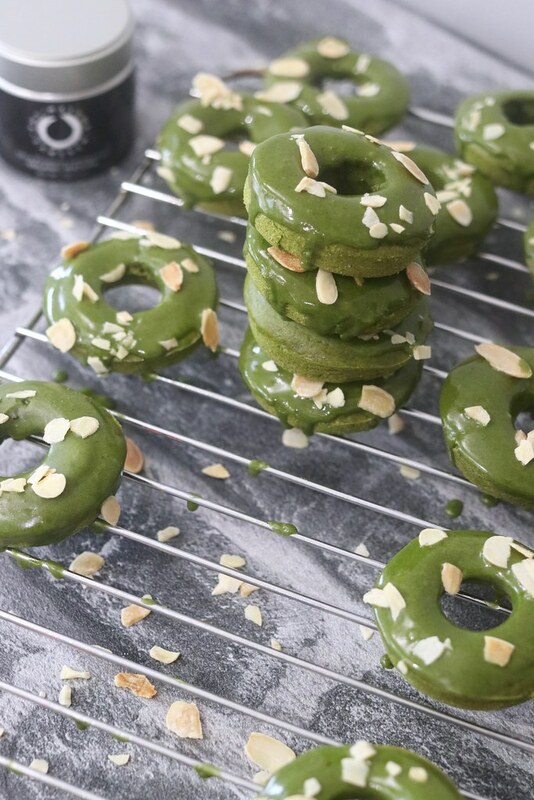 Mix all Glaze ingredients together and dip each doughnut upside down, if you want an extra thick coating wait for the first coat to dry and then give them another dip. 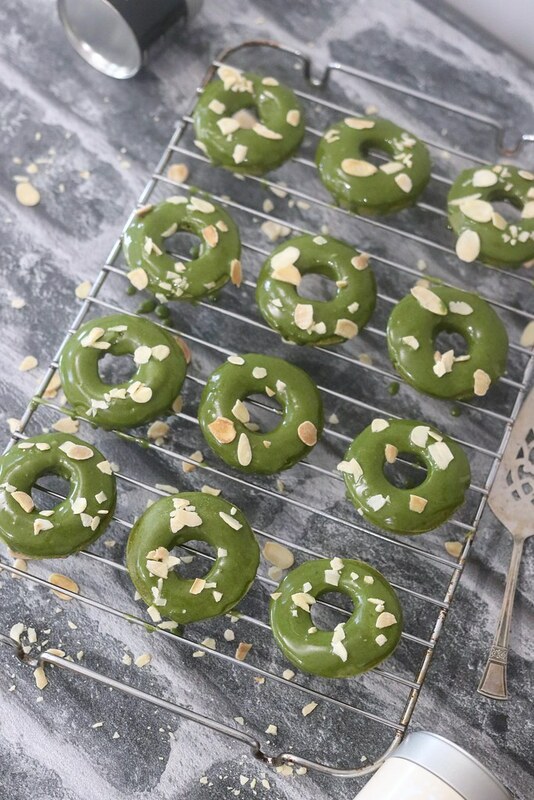 I added flaked Almonds to mine but you can leave them as they are or add anything you desire. 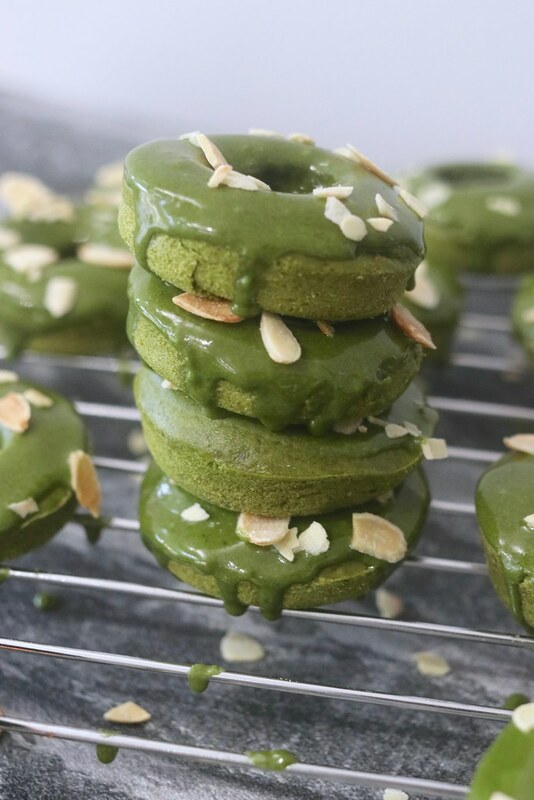 Let me know if you try these out, they are extremely simple, take no time at all and most importantly they taste AMAZING! !